The escalating movement in the health care industry towards electronic medical recordkeeping has been substantially impeded by the lack of clinical data standards. The classification systems that are in common use, such as the ICD-9-CM, rely on broad disease categories with insufficient granularity to permit valid analysis of outcomes. This shortcoming is particularly evident in the field of congenital heart disease, where the highly heterogeneous congenital malformations are grouped into just 39categories in the ICD-9 nomenclature. As described in other sections of this book, for over a decade there has been a concerted effort by various consortia of congenital cardiologists and cardiac surgeons to rectify this situation. When undertaking an effort of this magnitude it is useful to examine the successes and failures of existing nomenclatures in order to improve on history rather than to simply repeat it. 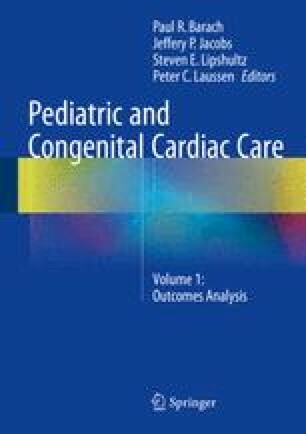 In this regard, the Fyler Coding System (FCS) is one of the earliest (if not the earliest) experience with introduction of a comprehensive congenital heart disease classification into the routine delivery of cardiac medical and surgical care and 45 years of continuous use are available for analysis of successes and failures. This chapter reviews the history of the FCS with particular emphasis on recognizing the lessons that should be learned by those who seek to implement something better.